A Letter To Alabama Power Co Shareholders And Directors On Eve Of Saturdays Annual Meeting » Mr. Dunn Goes to Montgomery | Who's Behind the Mask? Note on May 29, 2016: I published this on the site more than two years ago, in April 2014, shortly before that year’s annual meeting. I’m working on some new reports and hope to post them this week. Until then, I’m putting this back up top, mostly because everything here still applies, if only more so than then. The idea that Southern Co. and Alabama Power has a strong ethics policy — or in any event, one that applies to its political activities — is farcical. 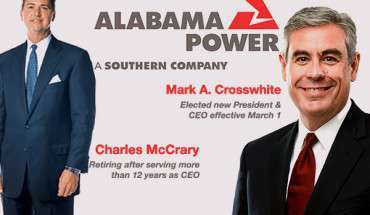 By their inaction, each and every one of Alabama Power’s board members has blessed the attacks on Dunn, and thus joined top executives at Alabama Power and Southern Company in violating the company code of ethics, called SouthernStyle. Subject: Violations of the Alabama Power’s Code of Ethics, called SouthernStyle, in relation to the company’s political operations, and, specifically, the now 16-month old public relations campaign undertaken against Alabama Public Service Commissioner Terry Dunn and his chief of staff, David Rountree. The purpose of this letter is to encourage you to take this opportunity to explore certain political activities undertaken by and/or approved by Charles McCrary; vice presidents Zeke Smith and Nick Sellers, and others whose responsibilities include government relations and regulatory matters before the Alabama Public Service Commission. At the end of this letter I will provide you with a series of questions should any of you decide that these matters merit exploring at Saturday’s meeting. The purpose of the questions is help you determine if corporate leadership has violated SouthernStyle. The following is a suggested opening for anyone inclined to address this subject tomorrow. I would recommend that the following be directed at Charles McCrary. 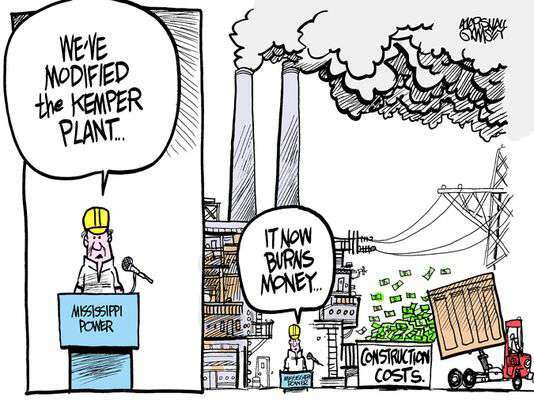 As we know all to well, construction-related issues at the Kemper facility in Mississippi have put an enormous strain on the parent company. Would it be fair, Charles, to say that Southern Company put extra pressure on you and the company to deliver the highest possible profits to help offset the tremendous losses at Kemper? In late 2012, stories in the Alabama media brought widespread and uncomfortable attention to the unusually high rates of return allowed by the Alabama Public Service Commission to Alabama Power, Mobile Gas, and AlaGasco. Commissioner Dunn’s public statements in December of that year that he intended to urge the commission to consider lowering the rates of return on equity permitted to the state’s three regulated utilities could not have come at a worse time for us. Please tell me, Charles, if the following generalization is wrong: You and others in management decided to embark on a public relations campaign to harm Dunn politically and in the eyes of the public. This campaign, as I’m calling it, was also designed to provide political/public relations cover for Twinkle Cavanaugh and Jeremy Oden, the two PSC members who would oppose Dunn and take the company’s side. As you well know, the profits allowed to Mobile Gas and AlaGasco were substantially reduced last year, but ours were left essentially unchanged. Needless to say, it was of utmost importance that the company’s role in this campaign — even that it had any role at all — be concealed. As a result, the efforts against Dunn, and subsequently his chief of staff as well, had to be carried out by others. Do correct me if I’m wrong Charles. If I’m correct, or mostly so, can you tell me if this campaign is ongoing? I’m especially concerned about an apparently spurious and most marginal ethics complaint filed recently against Mr. Rountree, and I’m seeking assurances from you as well as Mark (Crosswhite) and Zeke and Nick that no one with the company had any foreknowledge much less gave approval to this complaint, and, as importantly, that no one, such as one of our vendors, had anything to do with it. I understand that the complaint was reported on by two Internet sites — a “Yellowhammer News” and “Coal Jobs Count” — prior to it even arriving at the Ethics Commission, and that the Yellowhammer site somehow was provided the complaint and published it. Both of those sites, as you may be aware, have been harshly critical of Dunn and exceedingly kind to us. I will sit down now, Charles. I look forward to your responses, which I trust will be made with your usual candor. In a movie, a wise and aged company soldier, his loyalty beyond question, would stand and, respectfully, propose the questions. I am not naive enough to expect that any of you — old, young or in-between — will dare muss up an Alabama Power annual meeting at the Grand Hotel, but it does not hurt to dream. As to who I am and why I am sending you this: My name is Eddie Curran and I am a former reporter with the Mobile Register. 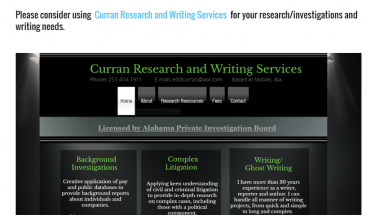 I now have a one person research business, such as for lawyers. Last August I was contacted by a group in Mississippi called Bigger Pie Forum that has actively opposed aspects of Mississippi Power’s Kemper facility.They hired me to learn as much as I could about a pair of Alabama non-profits — JobKeeper Alliance and Partnership for Affordable Clean Energy (PACE)- that had participated in a public relations campaign against them. My research into those two non-profits quickly led me to the campaign against Terry Dunn and David Rountree, as PACE and especially JobKeeper have been key players in this campaign. At the time, I had never met Dunn or Rountree. However, I was deeply troubled by what I found and, contrary to my own financial interests, informed the Bigger Pie people that I had decided to pursue this a journalism project. As such, I would focus on the situation in Alabama, and would not bill them. They sent me a check anyway, which I tore up. 1. Briefly address elements of “SouthernStyle that I believe are relevant here. 2. Summarize the backgrounds of Terry Dunn and David Rountree, as I think you should know a little about the people you are attacking. 3. Summarize some of the many great things the company does (not that you need to need to be told). 4. Summarize the role of the Alabama Public Service Commission, primarily as regards its role in establishing a range for the company’s Rate of Return on Equity, and also the agency’s legal right to hold formal rate hearings for the utility monopolies it exists to regulate. 5. Make some brief observations on the declining use of coal; the role of the PSC in determining whether Alabama Power uses or does not use coal; and the, “War on Coal” public relations campaign, especially as it has been directed at Dunn and Rountree. 6. Briefly address the role of the coal industry in funding campaigns for the Public Service Commission; and the inordinate sums that Alabama Power spends on political operations as compared to similar companies. 7. Summarize the campaign against Dunn and Rountree, and direct you to a substantial amount of source material should you wish to know more. 8. Provide you with specific questions to ask of corporate leadership and, speaking of shareholders, to ask as well of the board members should you consider them responsible for ensuring adherence to SouthernStyle. 9. Below the letter, I will provide examples of some of the images generated as part of the campaign against Dunn and Rountree. ”Each day Southern Company employees model Southern Style in everything we do. That kind of performance has earned us a high level of trust among our customers, shareholders and regulators. Rountree has spent some 30 years of his professional life in journalism, much of that with the Montgomery Advertiser. In 1997, PSC President Jim Sullivan asked Rountree to serve as his chief of staff. Sullivan, a Republican, was, as I trust most of you are aware, a big supporter of Alabama Power. After more than three years with Sullivan, Rountree returned to journalism. In 2005, Sullivan asked him to return, which he did. In 2008, Sullivan chose not to seek re-election. As I trust you know, staff members of PSC commissioners are not merit system employees, and serve at the pleasure of the appointing commissioner. Rountree, it appeared, was out of a job. Susan Parker, then halfway through her first term, asked Rountree to be her chief of staff, which he did. After Dunn defeated Parker, the incoming commissioner met Rountree. I assume that the latter’s friendliness, professionalism, and deep experience in utility regulatory matters impressed Dunn, for he asked Rountree to be his chief of staff. To the best of my knowledge, no one, in his more than 10 years at the PSC, had ever accused Rountree of being a rabid environmentalist or trying to steer any of the commissioners for whom he worked into taking some environmental position, assuming the PSC could do such a thing. 3. Praise where praise is due. On Christmas Day, 2012, a tornado came down my street in Midtown Mobile. Despite terrific damage everywhere, I had power back within two days. I don’t know that I’ve ever heard anyone complain or in any event blame Alabama Power when, such as after one of our many hurricanes, we are without power for extended periods. It is a given that company employees are working long hours and in dangerous conditions to return our lives to normal. I suspect that Alabama Power is the leader or close to it in terms of funding charities throughout Alabama, many of which could probably not make it without the company’s generosity. From what I understand, if not for Alabama Power, Mercedes would not likely have chosen to build its wonderful plant in Tuscaloosa. Without question, Alabama Power is the leading non-governmental player in industrial recruitment in Alabama. That Alabama Power is a well-run company and a great corporate citizen is not in doubt. When I met Terry Dunn for the first time, that’s one of the first things he told me. In the times I’ve spoken to Dunn and Rountree, not once have I heard either criticize the level of service the company provides. In fact, quite the opposite. They’ve expressed high praise. 4. The role of the Public Service Commission, particularly as it to Alabama Power’s Rate of Return on Equity (essentially one and the same as Profit) and what are commonly known as rate hearings. The PSC is composed of three commissioners. The agency’s primary role is to regulate the rates of Alabama Power and the state’s two other utility monopolies, Mobile Gas and AlaGasco. As I trust you know, utilities don’t operate on the open market. They need not compete for their customers’ business. Public Service Commissions exist to fill that vacuum by setting rates. I hope you don’t think I’m being facetious when I say I truly wonder if Alabama Power has forgotten that the PSC, at least according to law, is not supposed to favor the companies it regulates over the customers, or vice versa. It is to approach rate-making as a referee would a football game — with absolutely no favor given either side. Alabama Power has the highest allowed Rate of Return on Equity (ROE) of any such company in the country. I don’t believe there’s another power company that even comes in a close second. Company officials and spokespersons, when commenting to state media, are forever belittling the role of ROE. A somewhat different spin is presented by the company to the investment community. I highly recommend that you read two reports — one in November, the other in March — by Mark Barnett, an analyst for Morningstar who covers Southern Company. (For more about Barnett’s report, Go Here.) He writes, almost in astonishment, at how good Alabama Power has it with it’s state’s PSC, and not just as regards ROE, but other key components to the rate-making process, such as the apparently quite generous methodology allowed Alabama Power in recovering costs. “This is about as good as it gets for electric utilities,” Barnett gushed at one point. Last year, when Dunn pushed for formal rate hearings — as is the norm in other states, Georgia included — he was outvoted by commissioners Cavanaugh and Oden. Instead, what Dunn called “Dog and Pony Show” hearings were held. People were coming out of the woodwork to praise Alabama Power without ever addressing rates. Some I know for a fact had undisclosed financial ties to the company. My guess is that many others did as well. With these favorable rate-making mechanisms, Alabama Power has averaged a 13.1% realized Return on Equity during the past five years, well above utility averages. Intervenors in the Alabama Power case (primarily the AARP) proposed an allowed ROE as low as 9 percent, but Alabama regulators (the PSC) determined the company’s earned returns were reasonable and effectively left them untouched. The regulators specifically rejected the connection between current capital market conditions and a fair return to Alabama Power investors. This is remarkable, given that regulators in most other jurisdictions have used low interest rates and lower computed equity risk premiums to justify substantial ROE cuts. Alabama’s constructive (positive) regulatory environment contrasts with many regulatory jurisdictions where utilities go through lengthy litigated rate reviews and have adversarial relationships with regulators and other stakeholders. I trust you know that Georgia is not a “liberal” state, or a place where environmentalists pack political wallop on the state level. The Georgia PSC has held formal rate cases — with formal exchanges of evidence and testimony — in 1998, 2001, 2004, 2007, 2010 and 2013. 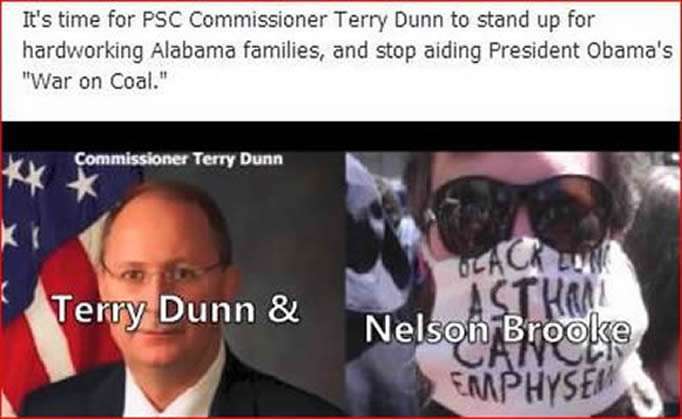 When Dunn proposed that Alabama’s PSC hold its first hearing in 30 years, he found himself described, such as by the shill groups, as a coal-hating liberal under the secret sway of San Francisco environmental lawyers. Honest to God hippie-types! In 2010, the Georgia PSC concluded its rate hearings by setting the company’s ROE ceiling at 11.15%, which was well above national averages if below Alabama Power’s sky high 14.5% ceiling. After last year’s rate hearing, Georgia Power’s ROE ceiling was reduced again, to 10.95% — still above national averages, but not in Alabama’s rarefied air. Environmentalists were not the cause of these reductions, by the way, nor Terry Dunn. But Dunn has violated the unwritten code: He has dared speak the truth about the utilities he was elected to regulate. People who have never met him discuss him as if he’s got a screw loose. An Alabama Public Service Commissioner — for that matter, any Alabama politician — bucking the Power Company? He’s committing political suicide, thus he cannot be all there. His failure to take into account his political survival marks him, not as decent or courageous, but as in some way uncomfortably different, and deserving of scorn. As I trust you also know, as it’s in the documents provided you for today’s meeting, the company concluded 2013 with an ROE of 13.43 percent. For every other regulated utility in the country, an ROE of 13.43 would be like a basketball team scoring 200 points in a game, or a golfer shooting 50 in the final round of the Masters. In short, unimaginable. 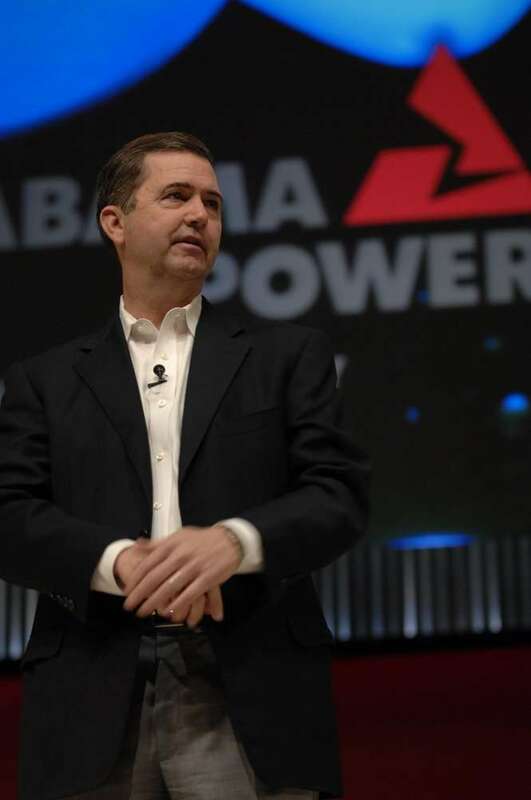 For Alabama Power, it was merely a pretty good year. As you surely know, the contracts for your executives contain bonus provisions that include ROE. With the Alabama PSC at your service, not a year goes by when they don’t get paid extra for delivering sky high returns. I suspect those provisions have something to do with the treatment accorded Dunn and Rountree. 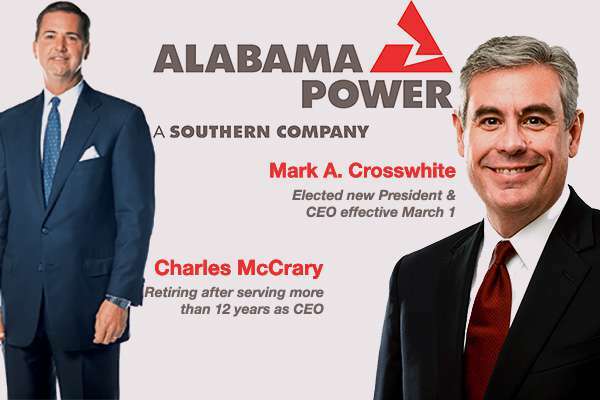 As Southern Company shareholders, you have every right to be pleased as punch by Alabama Power’s otherworldly returns. Is it not possible, though, for you step back and realize that in seeking to bring the company’s ROE somewhat closer to national norms, and to hold a rate hearing for the first time in more than 30 years, that Dunn is merely doing his job as it is defined by state law? For the first time in more than 30 years, the Alabama PSC has a commissioner who wants to referee the game straight up, with customers on an equal footing as shareholders. The gall of this man! 5. The declining use of coal; the, “War on Coal” public relations campaign; and the role of the PSC in deciding whether Alabama Power uses or does not use coal. Charles, as I understand it, you and others at the company — in concert with our outside political consultants and our friends in the coal industry — devised a strategy to attack Mr. Dunn. This strategy was designed to turn conservative voters, who of course dominate our state, against him. And the means of doing so? Not that I need to tell you, but it entailed an ambitious and no doubt expensive campaign to portray Dunn and his chief of staff as lefty environmentalists. Tree-hugger types. The plan included linking Dunn, as often as possible, not just to Obama, but even to Obamacare, which as you know is terrifically unpopular here. As we all know, the company, for decades, has worked with our friends at Drummond and Walter and the coal association, and — when it comes to the PSC — the mine-workers as well, to ensure that the sort of people we want on the commission are elected and re-elected. The company has called on these friends to really step it up and help us with the Dunn problem. The strategy — quite clever, by the way — was to portray Dunn as someone hellbent on killing coal jobs, and to position Mrs. Cavanaugh on the other side — as a warrior fighting for coal miners. Certainly this has far more appeal than, say, accusing Dunn of posing some threat to the rather abundant Drummond family coffers. Am I on the right track, Charles? As with other matters throughout the years, Leonard, you are spot on. We felt, and still feel, that the way to defeat Dunn and belittle his calls to lower our ROE is by convincing the public that the PSC is one and the same with the EPA; and, from there, that Dunn is a threat to shut down coal mines and eliminate coal jobs. That’s the strategy: To link Dunn and Rountree to what is seen as a leftist movement. The truth, as I trust you are aware, is that the PSC, unlike the EPA, has no power, much less any inclination, to regulate our fuel use based on how much it may or may pollute. Gas, coal, they don’t care. As I trust you are also aware, we — like power companies throughout the country — are fast trending toward natural gas. It’s just gotten so darn cheap and you stay out of the EPA’s hair when you use it. The state of the coal industry is, regrettably, not good. Mines are being shut down left and right. I assume you heard the recent news from Canada, where Walter shuttered some mines, as well as the shutdowns of coal-fired plants by the TVA, which of course is not regulated by the PSC. We recently switched some of our facilities from coal to gas, and as you know, Georgia Power has done a great deal of this. The changes would have occurred if Terry Dunn had never been born. But in terms of the message we seek to deliver, the more we can make people believe that Dunn is the one killing coal, the better off we are. We actually considered blaming the Canadian mine shutterings on Dunn but recognized it was probably too much of a stretch, even for us. However, with carefully crafted messaging, we have found that you can just about turn anyone into Obama, in terms of how the public perceives them. Our researchers hit a gold-mine when they found that Dunn’s chief of staff David Rountree once gave a small donation to John Kerry. 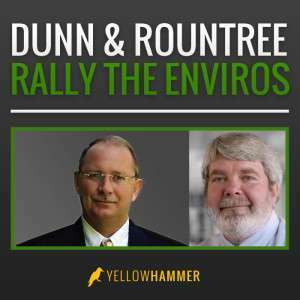 Also, it was discovered that Mr. Rountree — though on behalf of former commissioner Parker — once attended a party in Birmingham held by honest-to-God environmentalists. There’s absolutely no question but that these people were environmentalists. And, let’s not forget: Parker — one of the three commissioners he worked for — was a Democrat, friendly though she was to us. Our consultants felt, and correctly so, that we could use these three strands — a small donation to a Democrat, attendance at a party, working for a Democrat — to make a strong rope that, when tied to Terry Dunn, could be used to yank him right next to environmentalists, and from there, the short trip to Obama and of course Obamacare. Our polls show us that the majority of Alabamians, and almost all Republicans, respond extremely negatively to three words — Obama, Obamacare, and environmentalist. With imagery and a few twisted facts, you can link almost anyone to Obamacare. The “War on Coal” has been part and parcel with the campaign against Dunn. Our candidate against him, Chip Beeker, is doing an excellent job of following our advice by repeatedly linking Dunn to Obama and environmentalists, and staying as far away as possible from any discussion of Rate of Return on Equity. Have you met Chip? Did you come to the fundraiser in Mountain Brook last year, the one hosted by Haley Barbour? Even should Dunn survive this election — and there are plans in the works to prevent that — we believe this campaign will serve us for years to come. What you have accurately summarized, Leonard, is a template. Should any future member of the PSC or for that matter the Legislature or Governor’s Office dare oppose us — and after this, can you imagine one will? — we will dust of this very same strategy and destroy them as well. Long-term, Leonard. We think that way. Pardon the attempts at humor. Actually, there’s nothing funny about the campaign against Dunn and Rountree. And the part about Haley Barbour hosting a fund-raiser for Dunn’s opponent is, amazingly, true. Also of note: According to its recently released report to the Federal Energy Regulatory Commission, Alabama Power reported spending almost $24 million last year in the category called, “Certain Civic, Political and Related Activities.” This is even more than the $20-million-plus spent in 2012. Past stories by Birmingham News columnist John Archibald have shown that Alabama Power’s spending in this category dwarfs that of other regulated utilities throughout the country, including utilities far larger than Alabama Power. This year’s report reflects that Alabama Power is once again, ranked Number One in the country in two categories: RSE and money spent on political activities. Last year Georgia Power – which serves about 1 million more customers than Alabama Power — spent $6.7 million on this category. Florida Power & Light, which serves about four times as many customers as Alabama Power, reported spending $16.1 million. 6. The role of the coal industry in determining who wins PSC elections; and the amount that Alabama Power spends on political operations. As you are probably aware, regulated utilities and I believe as well their employees are prohibited from contributing to PSC elections. 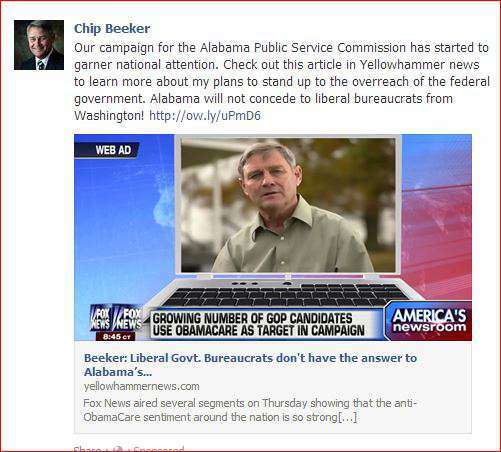 It would be an insult to your intelligence and understanding of Alabama politics for me to tell you, as if you didn’t already know it, that campaigns for the PSC, at least winning campaigns, are funded by Alabama Power’s suppliers in the coal industry as well as by the company’s other top vendors. The company says the word, and certain amounts go into the assigned PACs or campaign funds. A true story: In January, former legislator Steve Flowers decided to join the race against Dunn. This put the company in a quandary. Would it support Flowers, who has better name recognition than Beeker, or stick with Beeker, who has done everything asked of him? The company’s confusion can be seen in the campaign reports for the two candidates for January. On Jan. 10, two days after Flowers entered the race, nine different companies and individuals — all directly connected to the coal industry — made donations to Flowers. Three days later, the very same nine donors gave the very same amounts to Beeker. This state of confusion came to a close a few weeks later, when Flowers stepped out of the race. On the same day earlier this week, two Tuscaloosa-based PACS gave $75,000 apiece to Jeremy Oden, who is also facing opposition in the Republican primary. The PACs have yet to disclose the recent sources of their funding, but one would have to be quite naive not to see the company’s hand in these donations. The company is concerned that Kathy Peterson, a Tea Partier, might beat Oden. If that were to occur, and Dunn survive the challenge from Beeker, the PSC could actually have two commissioners not beholden to the company. 7. A summary of the acts against Dunn and Rountree. I’ve provided a sampling of images created as part of the campaign at the bottom of this letter. Some are taken from videos produced as part of the effort. 8. Suggested questions for shareholders and board members to ask of company executives. 1. Does Alabama Power take the position that Terry Dunn is in violation of the statutorily defined role of a Public Service Commissioner by urging the commission to lower Alabama Power’s rate of return on equity? By urging the commission to hold formal rate hearings? 2. True or False: If Alabama Power’s rate of return on equity were brought to 10 or 11 percent, still above the national average, the power bills of Alabamians, including for the poor, seniors, and small businesses, would go down. If you say that this is false, please explain. 3. Do you believe that Terry Dunn would be in violation of the statutorily defined role of a Public Service Commissioner if he were to give equal weight to the financial needs of rate-payers as to Alabama Power/Southern Company shareholders when carrying out the functions of his office? In the following questions, “Corporate Leadership” refers to McCrary, Smith, Sellers, Crosswhite, Fanning and others within the Southern Company who are involved in governmental relations decisions as they relate to Alabama. The word “negatively,” when applied to Dunn and/or Rountree, includes the use of of words, images or video to portray them as liberal, as environmentalists, as associated with President Obama and/or Obama Care; as connected to the AARP; or in any other light that a reasonable person would recognize as negative. 4. Has anyone in Corporate Leadership participated in meetings and/or strategy sessions during which efforts to portray Dunn and/or Rountree negatively were discussed? 5. Has anyone in Corporate Leadership received or generated written or oral reports regarding efforts to portray Dunn and/or Rountree in a negative light? 6. 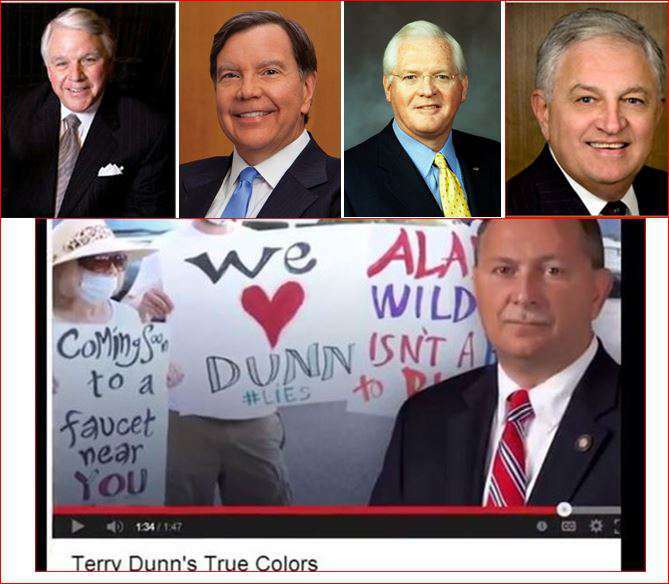 Has anyone in Corporate Leadership in any way blessed, authorized, or approved of efforts to portray Dunn and/or Rountree negatively? 7. 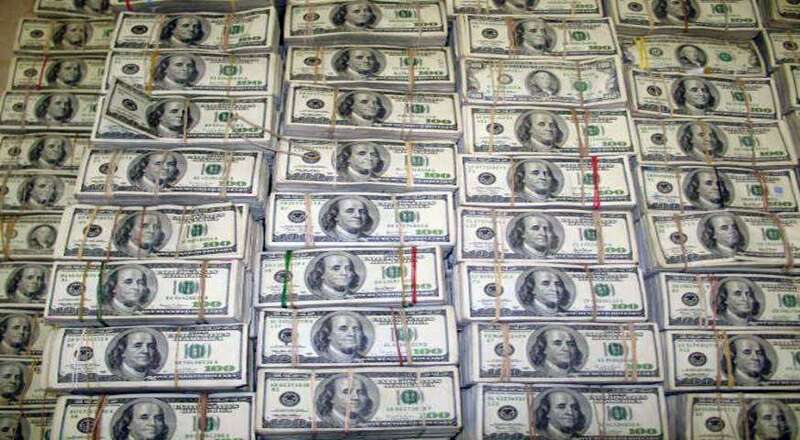 Will Alabama Power identify all 501c4 non-profits that it has donated to in the past four years, and the amounts paid? 8. Has anyone in Corporate Leadership communicated with the political consulting firm Matrix LLC or Joe Perkins or Jeff Pitts or related firms such as Perkins Communications regarding the campaign to portray Dunn and/or Rountree negatively? 9. 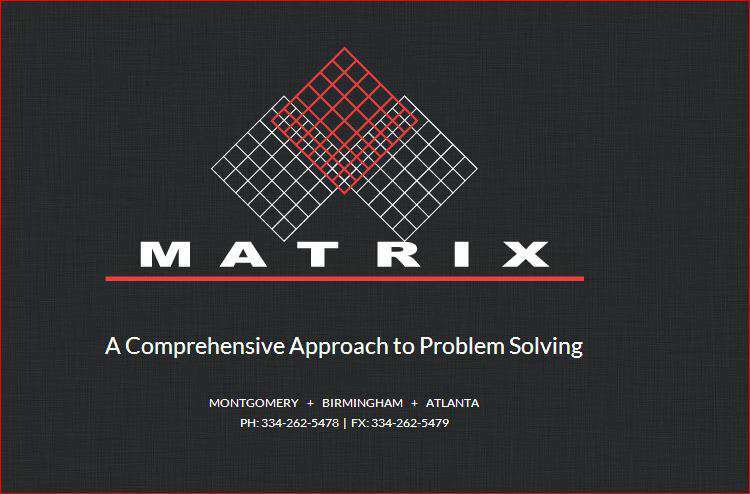 Did anyone in Corporate Leadership communicate with and/or pay Matrix/Perkins to help generate positive public relations for the company related to the Public Service Commission’s public meetings on Alabama Power last year? Such efforts include but are not limited to paying for people to come to the meetings to speak in support of Alabama Power; coaching people who addressed the commission; and/or paying people to simply attend the meetings and wear signs or placards supporting the company. Similarly, has the company worked with Matrix/Perkins regarding the submission of op-eds favorable to the company that were written by or presented as written by people with no identified association to the company? 10. Please answer the same questions regarding Matrix for the following individuals and entities. All are identified here because all have undeniably participated in efforts to portray Dunn/Rountree negatively and/or generate positive publicity for the company as regards the issues before the PSC. I’m no doubt leaving some out but this is a good start. – The 501c4 People for Affordable Clean Energy (PACE), including Lance Brown, Montgomery County Commissioner Ronda Walker, and Stewart Burkhalter. – Members of the lobbing/consulting firm Swatek, Azbell, Howe & Ross. – The Alabama Coal Association. – Coal companies including Drummond Coal and Walker; and leadership of unions whose members include coal miners. – The 501c4 “60 Plus,” the D.C. based “seniors group” that participated in last year’s PSC process and has been highly critical of Dunn. Arizona’s primary power company has admitted to secretly funding 60 Plus as part of a public relations campaign in that state against solar power and I suspect the same occurred here. Did it? – Gale Force Productions, the small Birmingham film company that has produced videos for Alabama Power, 60 Plus, Generation America, PACE, JobKeeper Alliance, Walker Coal, and a host of political clients served by Matrix. – The 501c4, Peoples Alliance for Leadership, which has served as a pass-through for some $270,000 it provided to JobKeeper Alliance and PACE from 2009 to 2012. Its director is Mike Fields. He is a state employee who is on a retainer with Alabama Power. Figures for payments that the Peoples Alliance made in 2013 are not yet available. — Manufacture Alabama, the Alabama Policy Institute, Alabama Free Market Alliance. — Payments, directly or indirectly, to civil rights leader Charles Steele; the NAACP; and the Birmingham Times newspaper. 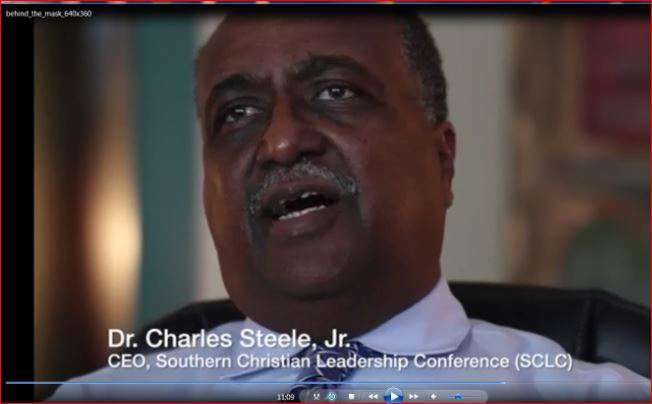 Charles Steele, in, “Behind the Mask,” the 17-minute film on the Alabama Coal Association web-site that blasts and and all who oppose Alabama Power. This amazing bit of propaganda is dripping with class warfare — poor people good, rich people bad, especially people who live in Mountain Brook. According to, “Behind the Mask,” people who live in Mountain Brook are “not like you and me.” Funny thing is, the Coal Association is just barely outside of Mountain Brook, and too many association members to ever name here live in … Mountain Brook. 11. Has Alabama Power spent any money on legal fees, such as to Balch & Bingham or other firms, for services related to the campaign to portray Dunn and Rountree negatively? 12. Has Corporate Leadership communicated with PSC Commissioners Twinkle Cavanaugh and/or Jeremy Oden regarding public relations activities related to last year’s hearings on Alabama Power and/or the campaign to portray Dunn and Rountree negatively? 13. What can Corporate Leadership tell us about an “environmental protest” held outside the Alabama Power-related PSC meeting in July? The protesters all wore masks. They were not seen by the normal media, which was inside, but rather, filmed and photographed by people working on behalf of some of the above-named groups. One of the protesters carried a sign that said, “I Heart (Love) Dunn, and Lies.” Film and images from the protest, especially of the bearded protester with the Dunn sign, have been widely used in the campaign against Dunn. If I can prove that the protest was faked, that it was arranged by people working with you to make the bogus connection between Dunn and so-called liberal environmental whackos, will each of you who approved of the charade and/or the use of the subsequent images be willing to publicly apologize to Dunn? To resign? To offer to the PSC to lower the company’s RSE down to 12 percent, which would still probably be the highest in the country? In closing, I would like to say that I am looking forward to hearing reports about your meeting Saturday as I have every confidence that the treatment of one of your company’s elected regulators and his chief of staff will be a source of meaningful discussion. The reason for my confidence: I have read, at least twice, SouthernStyle. There is no way that leaders of a company whose employees work so hard in such dangerous conditions to get the power back on for Alabama residents would create a Code of Ethics and then treat it as a farce, as a feel-good public relations tool to be ignored. Below, some of the media generated as part of the above described campaign. Again, my web-site is an excellent source for such material and stories explaining the various relationships, and I’m working on more stories as we speak. In some of the examples, you can see that Photoshop was used, such as to plant liberal stickers on Dunn’s campaign car. At the end I added a few images that are not part of the campaign but are relevant to this situation and which should be easy to understand. Lastly, should you have information which can help me further expose those behind the campaign against Dunn, whether to do so anonymously or otherwise, Go Here to my contact information.